How well do you know the tomato? 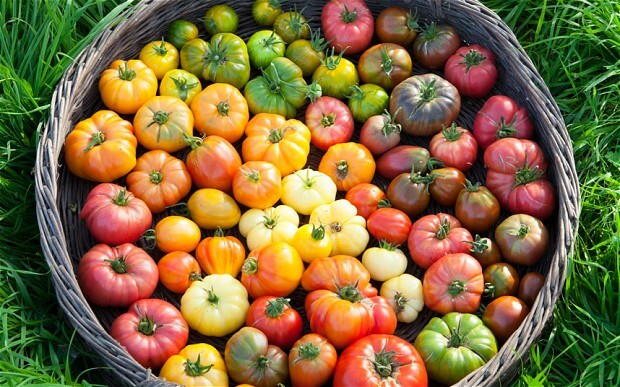 Take The Great Tomato Quiz and find out! Our good friend Mike the Gardener (of Mike the Gardener Enterprises) tests your knowledge about tomato facts, the history of the tomato, and information about tomatoes that gardeners need to know. Click on the link below to find 10 true or false questions about the tomato. If you’ve done your homework on Tomato Dirt, you should score really well! You can take the test as many times as you would like. Your score will be given to you at the end of the game and you will have a chance to share your results with your friends. While you’re at Mike’s website (www.averagepersongardening.com), you can also sign up to be a member of the Seeds of the Month Club. For pennies a day, you’ll receive 8 packs of seeds for your first month then 4 packs every month thereafter, helping you put safe, healthy food on your table! Get more fun tomato inspiration on our Pinterest board.